A flurry of recent news claims GMOs can save agriculture and raises some concerns. It’s rare to find someone neutral on the subject of genetically modified food—which is, depending on whom you ask, either a risky technology giving Monsanto greater market control, or the heroic invention of scientists who will save us from world hunger. The last few weeks have brought a flurry of news about scientists and techies trying to save the imperiled orange—and our food supply more generally—through genetic engineering. A few days ago, The New York Times published an in-depth story about farmers and scientists battling anti-GMO public sentiment to rescue oranges from an epidemic bacterial disease. They were testing a new orange (with a gene taken from spinach) that would resist pathogens. Earlier this month, an article in Slate suggested genetic engineering could move beyond the ills of corporate agriculture and become an open-source project, as hip and democratic as the operating system Linux. The magazine ran a second story from a vegetarian yoga instructor who had seen the light on GMOs. This author chose to debunk a series of arguments against genetic tinkering, most connected to ick-factors—e.g., queasiness over whether animal genes are inserted into plant DNA. The gist of both pieces was that GMOs and genetic property rights should be taken out of corporate control and put into the public domain and the hands of smart, principled scientists. “When genetic engineering is used to decrease pesticide use, to add nutrients to crops in malnourished countries, and otherwise improve the quality of our food products, then it’s a valuable tool that can contribute to a safe and healthy food supply,” wrote the self-described hippie. 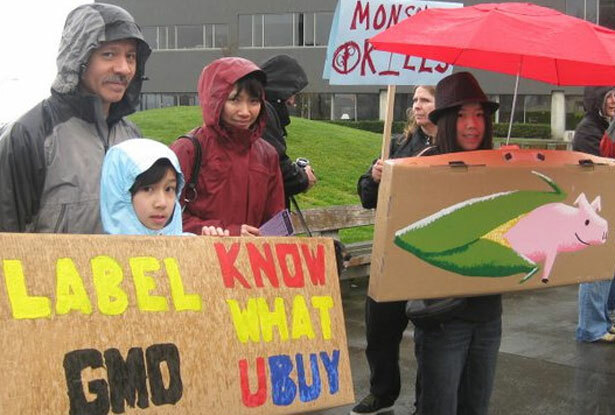 Some…scientists were still fuming about what they saw as the lost potential for social good hijacked both by the activists who opposed genetic engineering and the corporations that failed to convince consumers of its benefits. In many developing countries, concerns about safety and ownership of seeds led governments to delay or prohibit cultivation of needed crops: Zambia, for instance, declined shipments of G.M.O. corn even during a 2002 famine. Truthfully, the science and the ethics have never been quite so cut and dried. UCS isn’t alarmist about GMOs: “There is a lot we don’t know…which is no reason for panic, but a good reason for caution.” The organization identifies a few possible concerns about genetic engineering. The escape of laboratory genes into the wild isn’t a concern for sentimental reasons, or because of ick-factors. It’s a worry in part because the genes of wild plants and heirloom varieties of crops are a storehouse—a library of millions of years of evolution and thousands of years of traditional plant breeding, irreplaceable raw material for any kind of new crop development. Not enough is known about whether GMOs will corrupt genetic material that we may later need or affect the ecology of wild or farmed ecosystems as a whole. GM crops are truly biological novelties that would not exist via natural processes … One of the consequences of these processes may be a generalized contamination of natural flora by GM traits and a degradation and erosion of the commonly owned genetic resources today available for agricultural development. It is virtually impossible to quantify or predict the long-term impacts on agrobiodiversity and the processes they mediate resulting from widespread use of GM crops. This isn’t to say that genetic engineering should never be part of a solution to global food problems. It is simply to say that those who are hesitant about GMO have a reasonable point—there is a lot we don’t know, both about risks of genetic engineering and the alternatives to it. What does Monsanto have to do with ending world hunger?